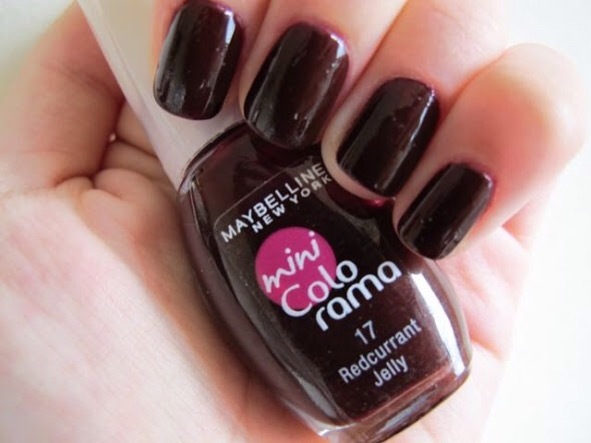 The first is part of Maybelline’s Mini Colo Rama collection, and is called ‘Black Current Jelly, it’s a very pretty purple-y red shade and is opaque in one coat. 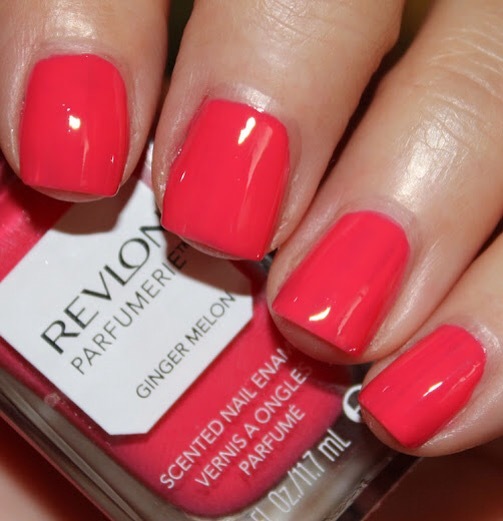 Revlon’s ‘Ginger Melon’ is a staple pink polish I find myself coming back to again and again, not only is it a very versatile colour but it smells amazing too. 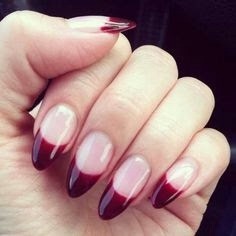 When I first purchased ‘Tokyo Pearl’ from Sinful Colors I was not that impressed by it, it seemed sheer and streaky, but last week I had some time to build up three coats of ‘Tokyo Pearl’ and the results were stunning. 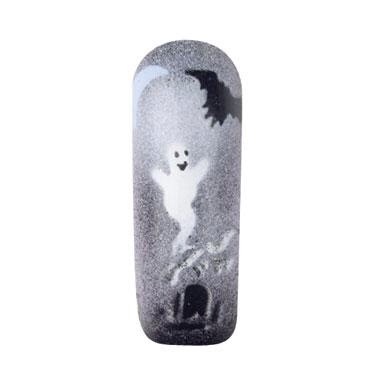 Another October purchase from Sinful Colors was ‘Lets Talk’ which is a purple based blue and looks absolutely beautiful on the nails, in the right light it flashes deep purple and memorising blues, it looks simply stunning. 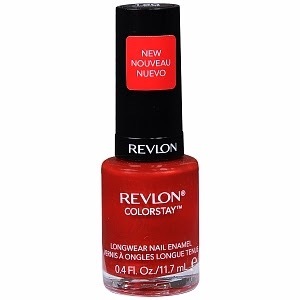 My final polish for October is ‘Cayenne’ from Revlon, in the bottle it looks a lot more red than it does on the nail, so as you can imagine I was shocked when my manicure turned out a rather unexpected burnt orange shade, it’s not really a shade is go for, but never the less I leaned to love it anyway. 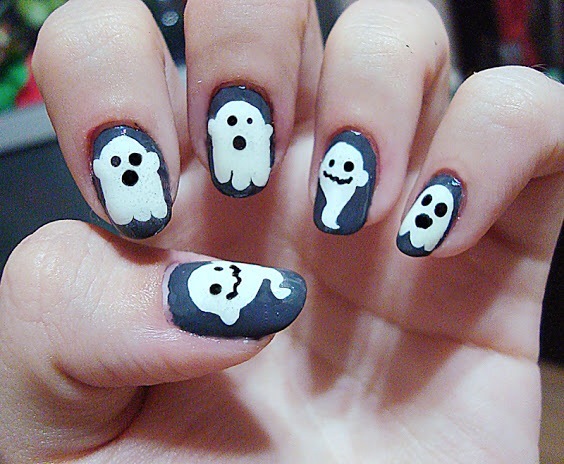 I’m bored and hungry at the moment, but at the same time I can’t wait for halloween, I started planning my outfit months ago. 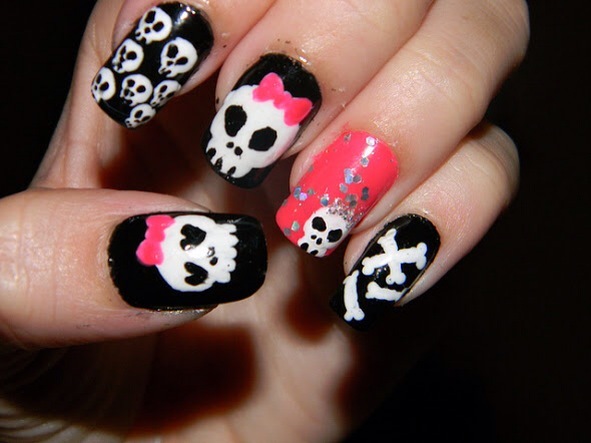 This year I’m going bak to Whitby for the goth weekend and I can’t wait, I’m super excited to dress up and see the Abby again, love it. 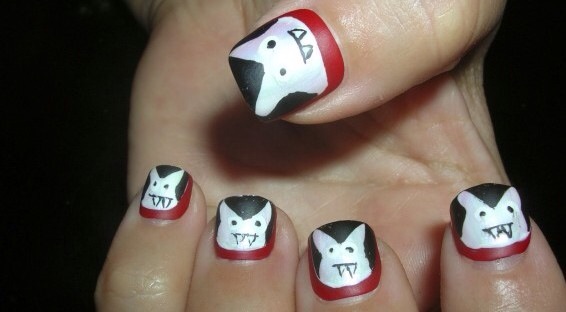 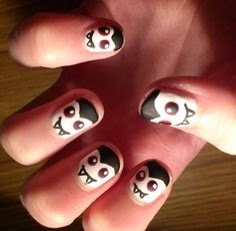 I thought I’d do the final post in my halloween themed nail art collection, this week it’s vampires, and I love them all. 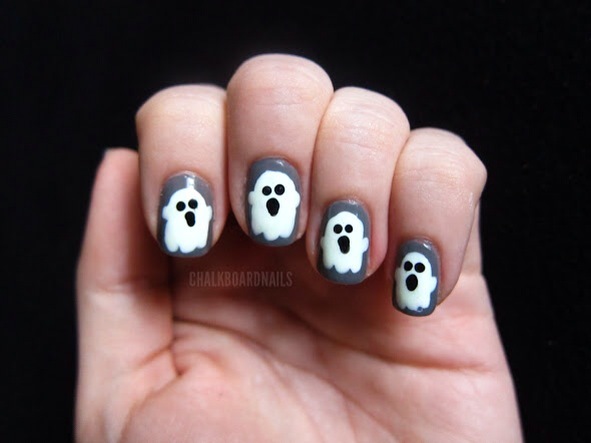 You all seem to really enjoy these posts, thank you so much to everyone who faves and commented on the halloween themed posts. 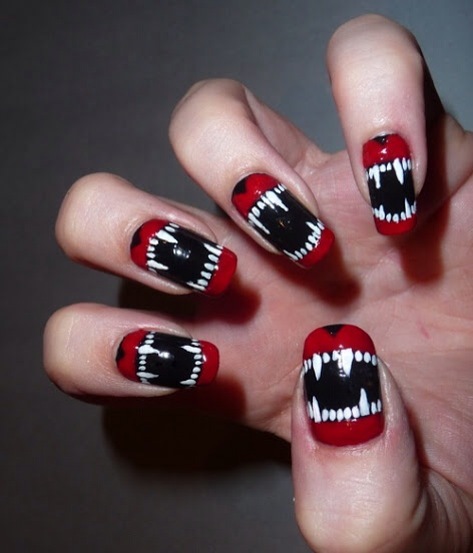 I can’t stop yawning today, I don’t quite know why I’m so tired, maybe I’m just being lazy lol. 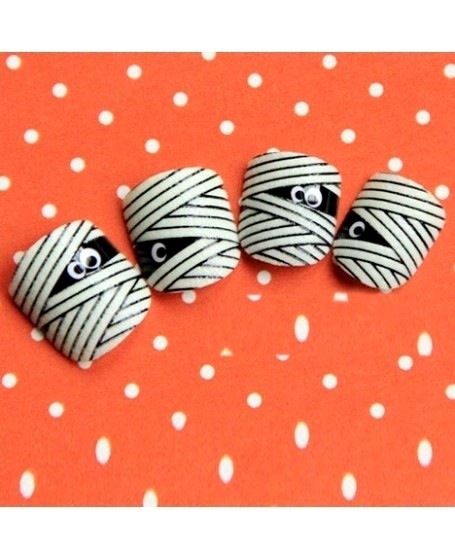 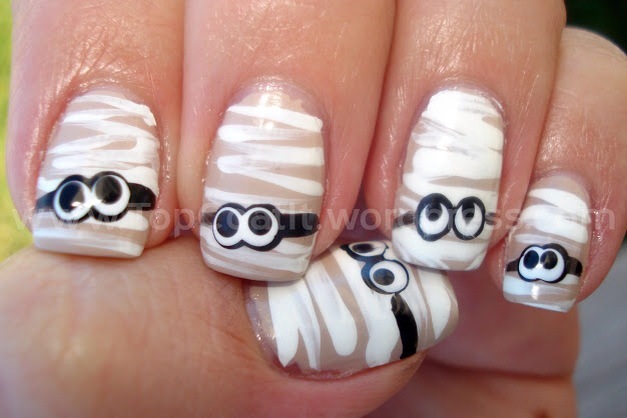 I was wondering around a shopping centre yesterday that had a halloween store, I thought I’d have a browse and that’s when I got the inspiration for this mummy nail art post. 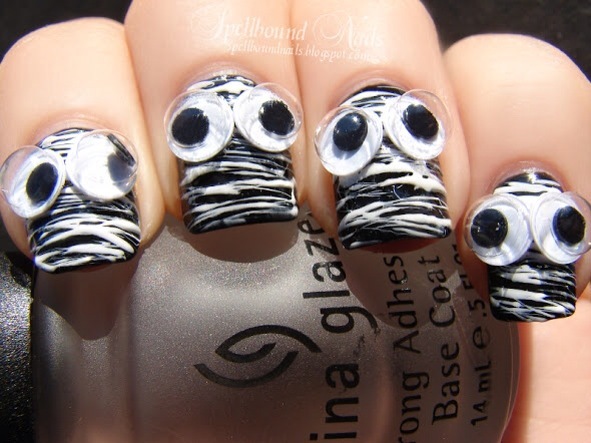 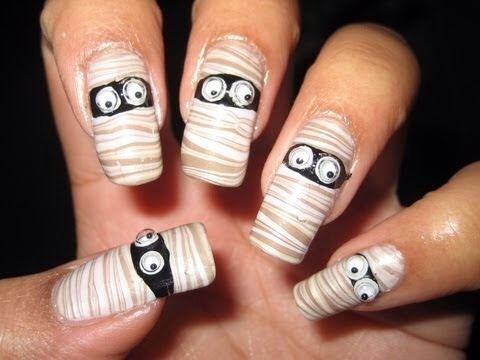 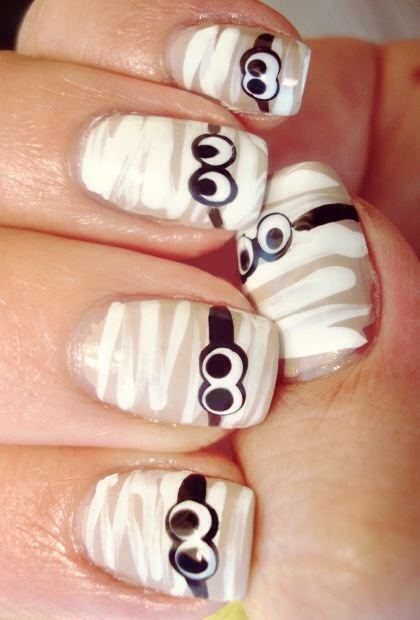 When I was a little kid I’d wrap myself in toilet paper and make my mummy costume that way, talk about a lack of creativity but I’m happy to say creativity is not something this nail art designs aren’t lacking. 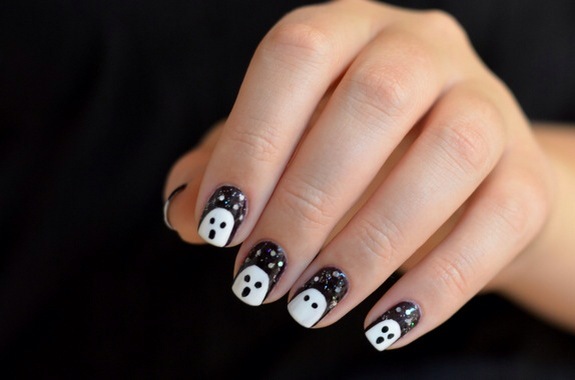 I think these are all super cute, I love anything with goggly eyes and the fact that these are halloween themed nails make them ten times better, I can’t wait to try them. 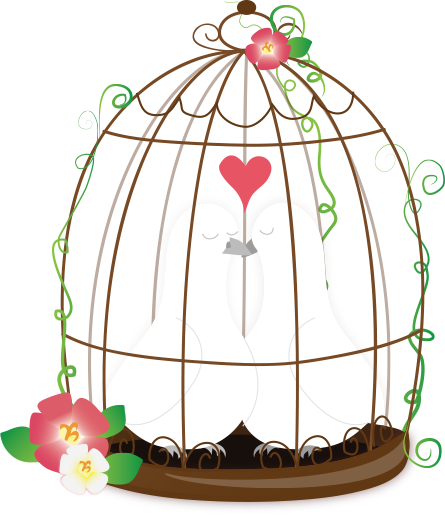 I’m feeling much better this week, yes I’m on more antibiotics but I’m not in as much pain as I was fingers crossed it stays that way. 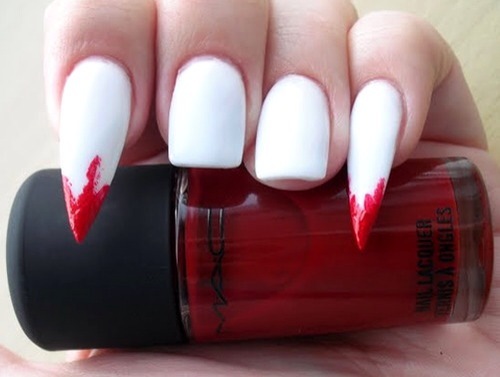 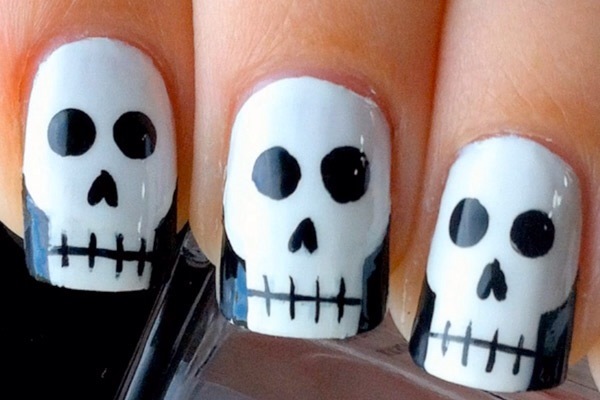 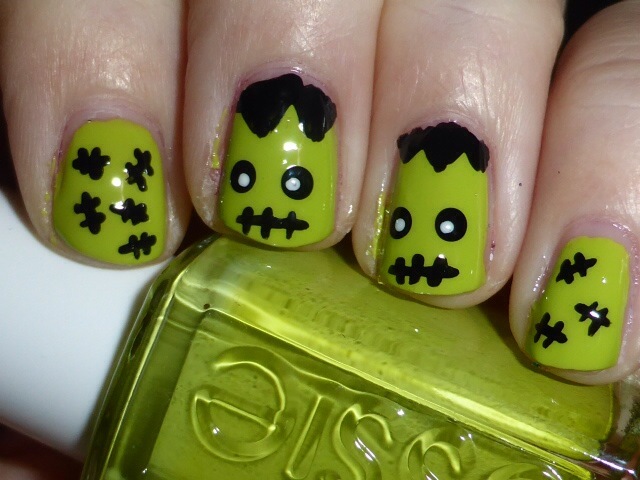 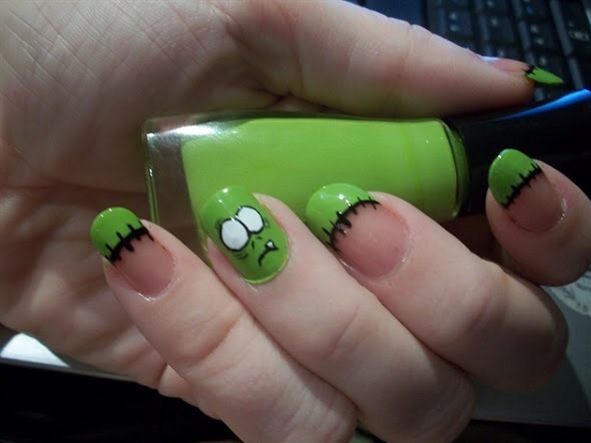 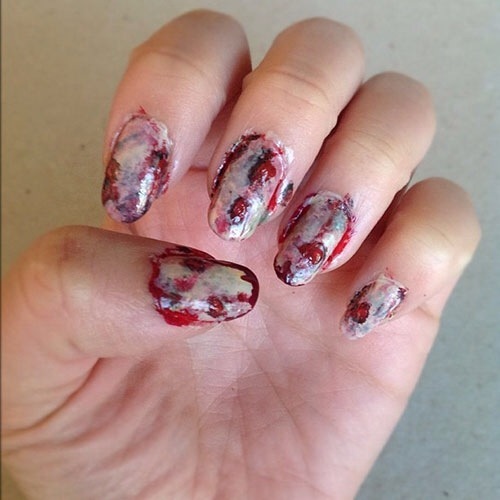 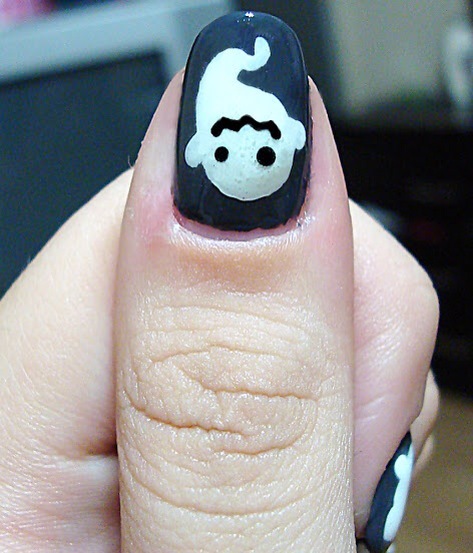 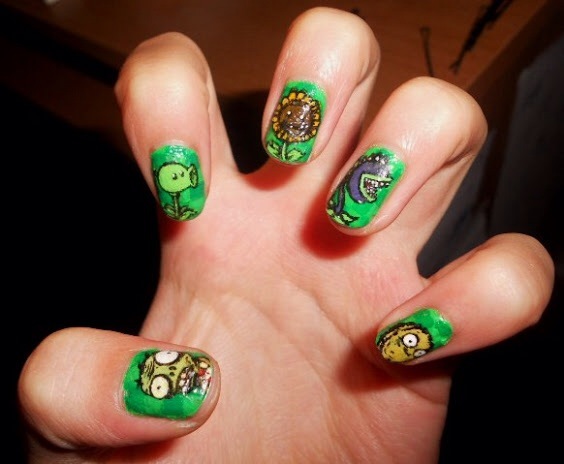 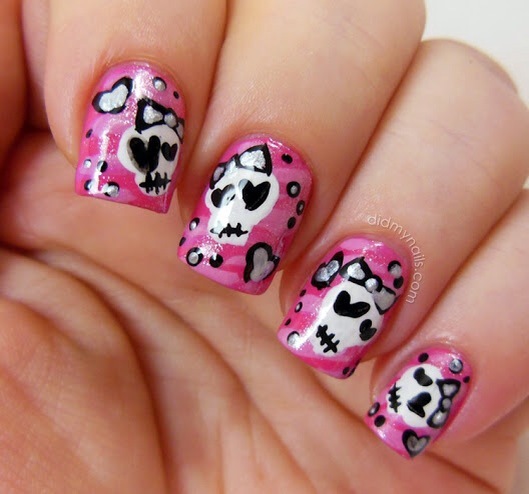 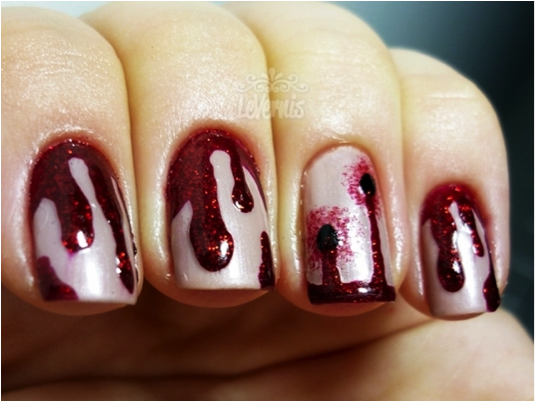 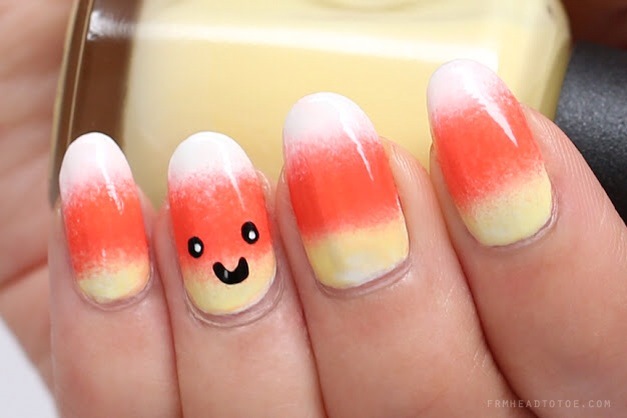 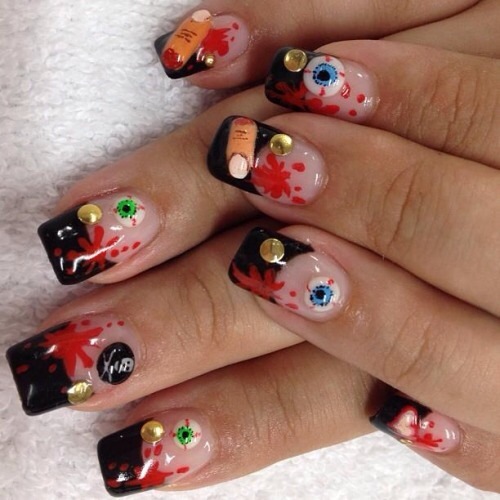 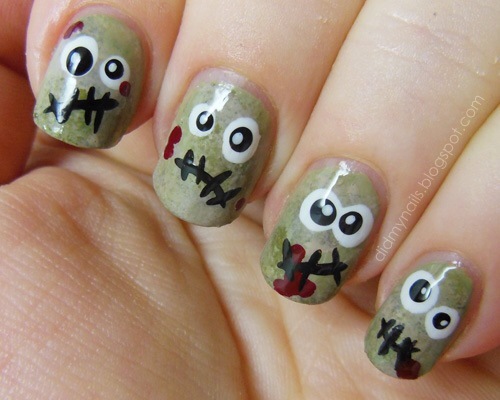 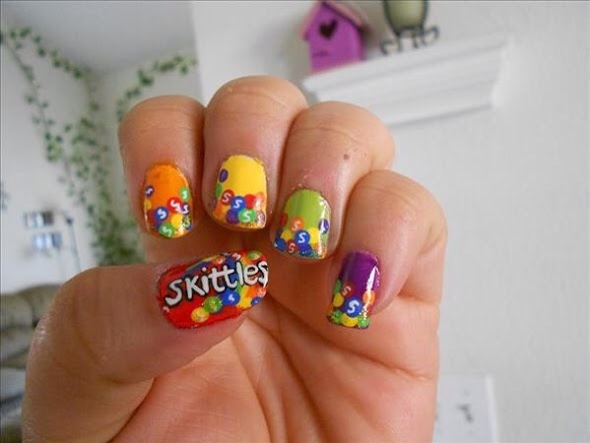 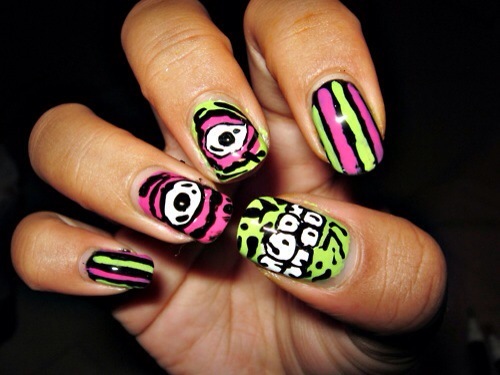 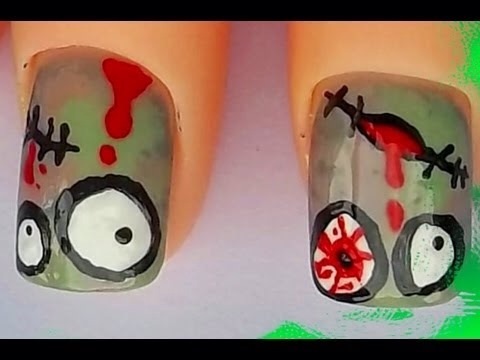 I thought I’d do another halloween nail art blog post since the big day (and night) itself is less than two weeks away, this post is about my fave zombie nail art, some are super cute and others are… Not so cute. 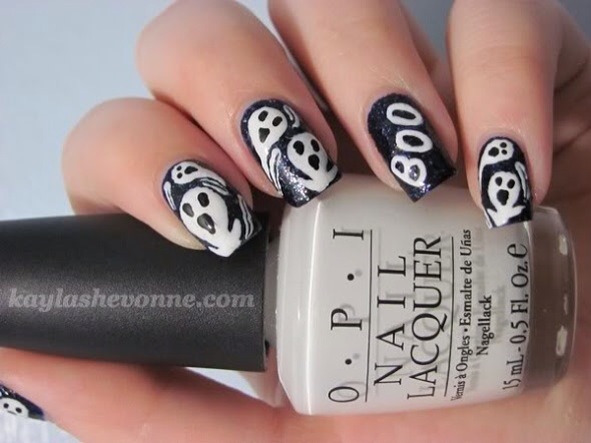 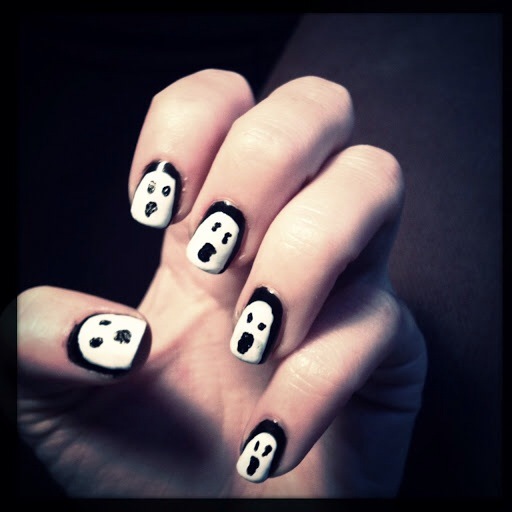 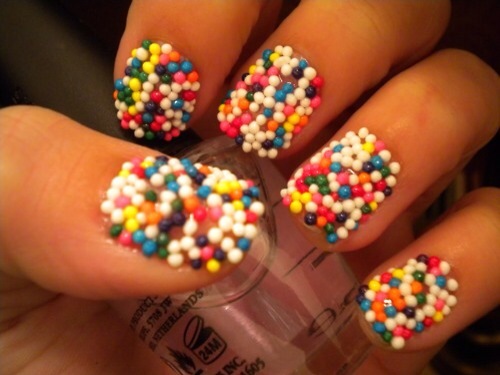 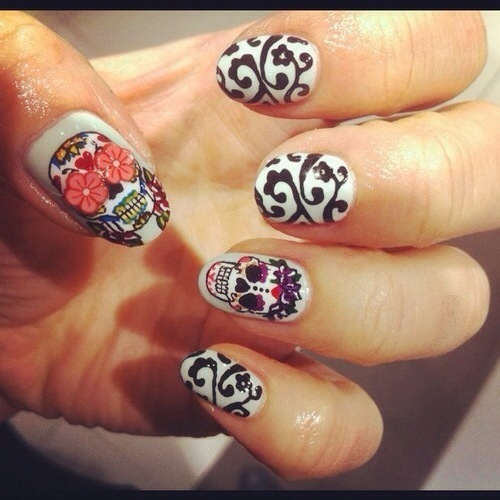 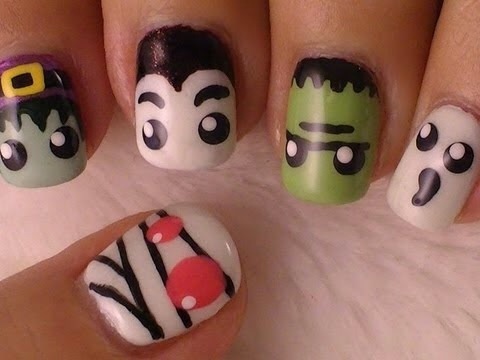 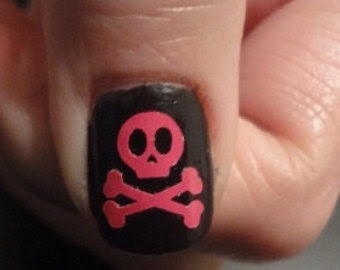 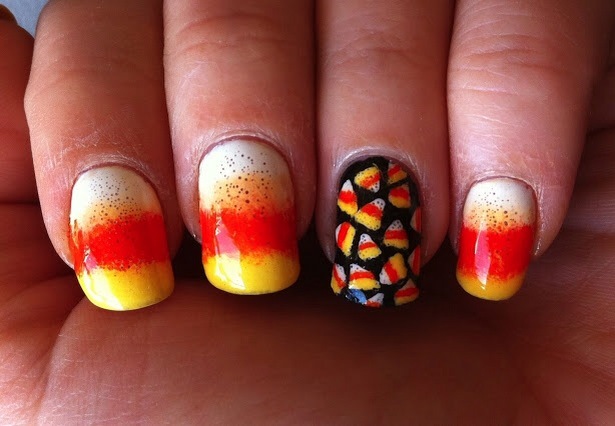 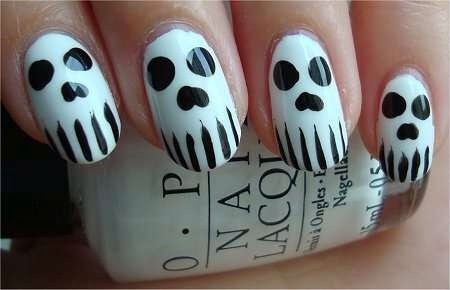 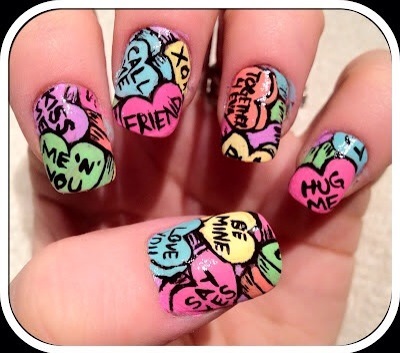 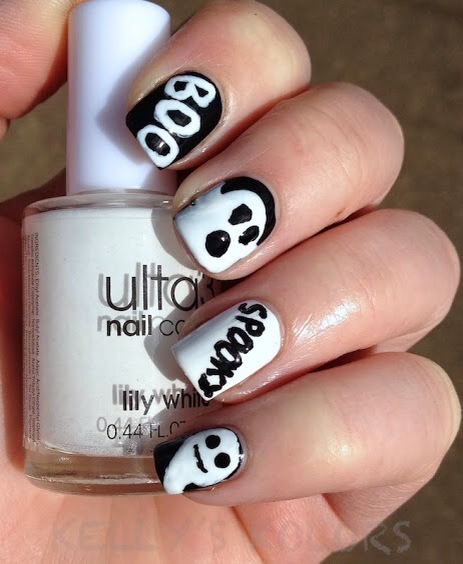 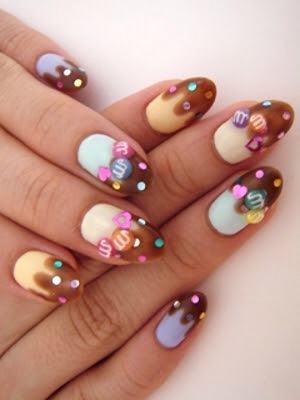 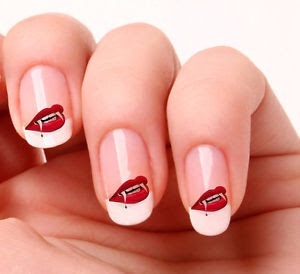 But never the less I’m still blogging away :), here’s so more halloween nail art for my beauties. 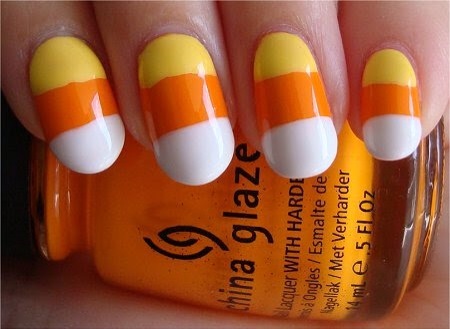 By the way what is candy corn? 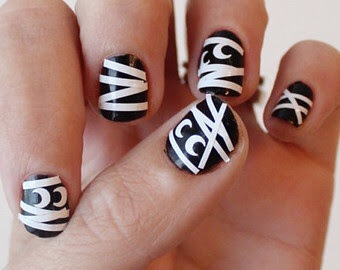 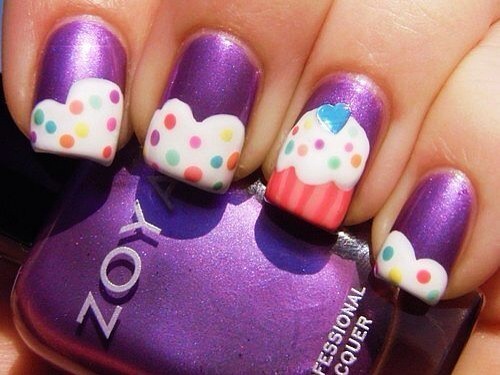 If someone could tell me I’d really appreciate, it looks so good. 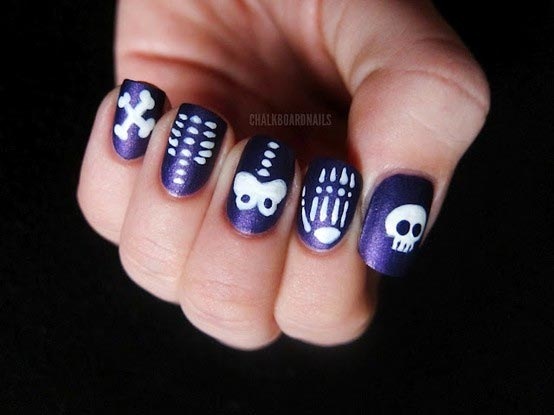 I’m so so shocked at Just how popular my halloween nail art posts have been, thank you so much for all the comments, likes and follows it really does mean so much to me.